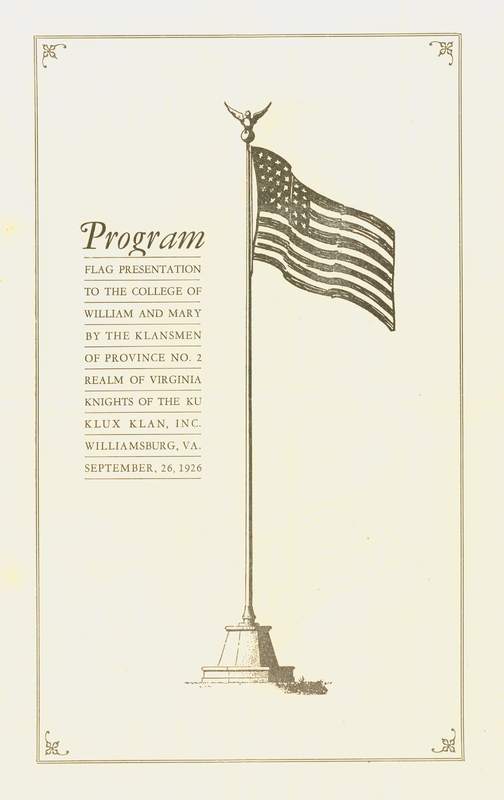 In 1926, the College of William & Mary was gifted and accepted a flagpole by the Ku Klux Klan. The unveiling ceremony was allegedly attended by thousands of individuals, many of whom were members of the KKK themselves. Originally erected here at the corner of Boundary and Jamestown, the flag was moved in the 1950s to a new site at James Blair hall where it flew the state flag to assert states' rights during Massive Resistance. The 'final' resting place of the flagpole is unknown but is being researched by Professor of English Emeritus Terry Meyers. 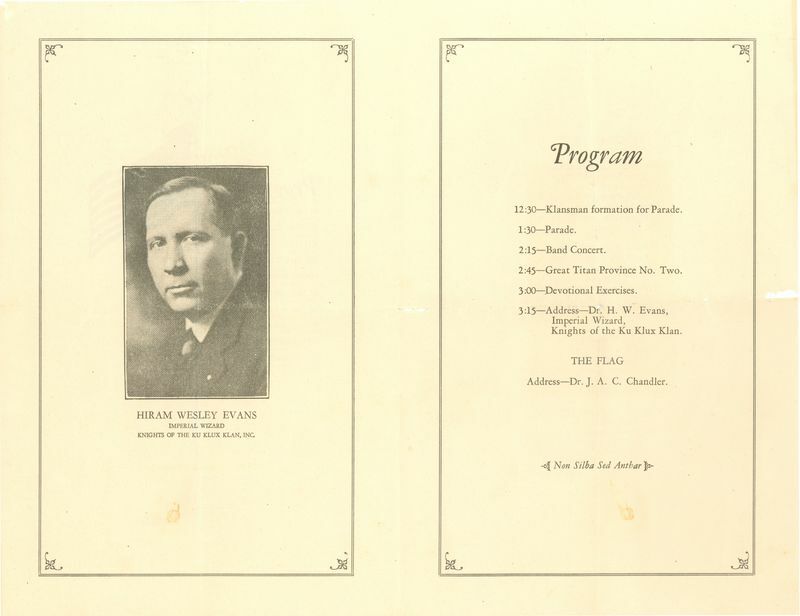 Though Special Collections houses the program from the flagpole's unveiling, the plaque it displayed was apparently thrown out by a College employee to avoid embarrassment. 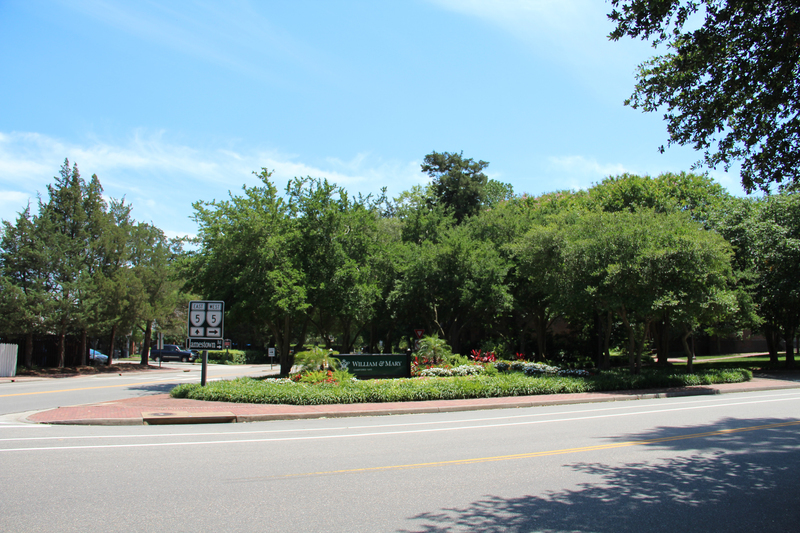 Special Collections Research Center, William & Mary Libraries., “Site of the Ku Klux Klan Flagpole ,” TribeTrek, accessed April 26, 2019, https://tribetrek.wm.edu/items/show/90.